Antoine Albert: “This year we worked a lot on the speed and pop of the new Air Pro. When I tested it for the first time, I was blown away by the limitless acceleration that this board brings, even in super choppy conditions. That speed helps a lot to go higher especially in combination with the slightly changed tail that makes the pop easier. 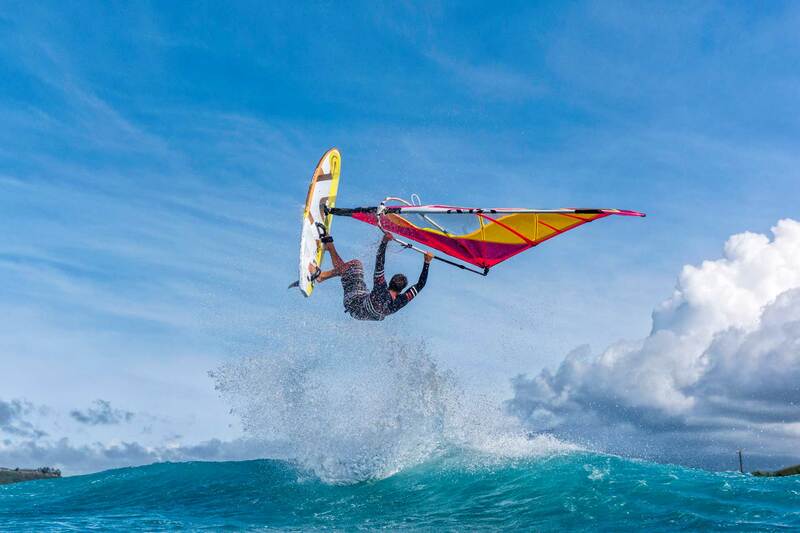 The new Air Pro is a bit narrower and slightly smaller, giving you more control in stronger wind and faster spins in the air, meaning its new shape is more radical than the last generation. 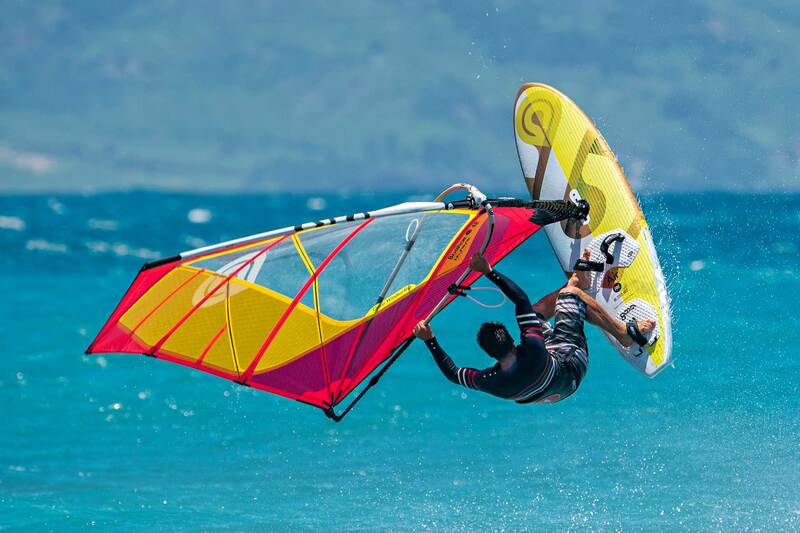 Further, we added a smaller volume to the range for super strong wind, smaller people and kids. 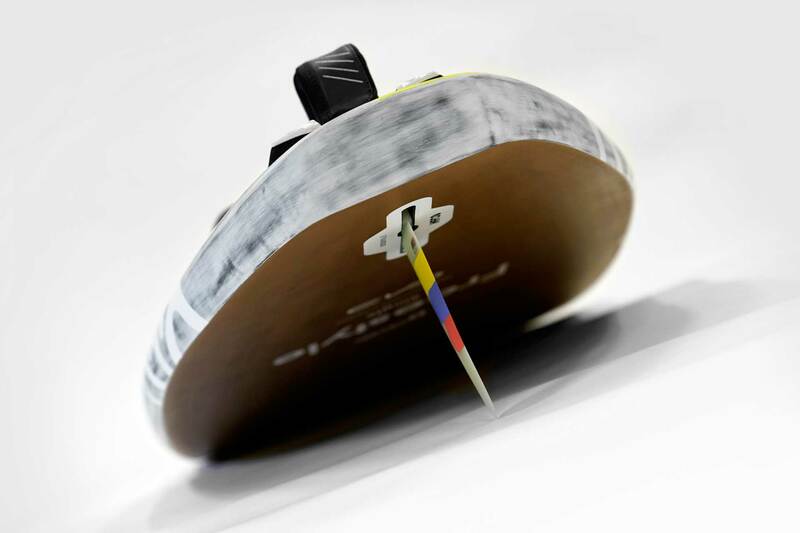 Jay Lee: “We tested a load of prototype boards along with their competition over the year and are finally able to introduce what we perceive to be the new fastest freestyle board on the market. 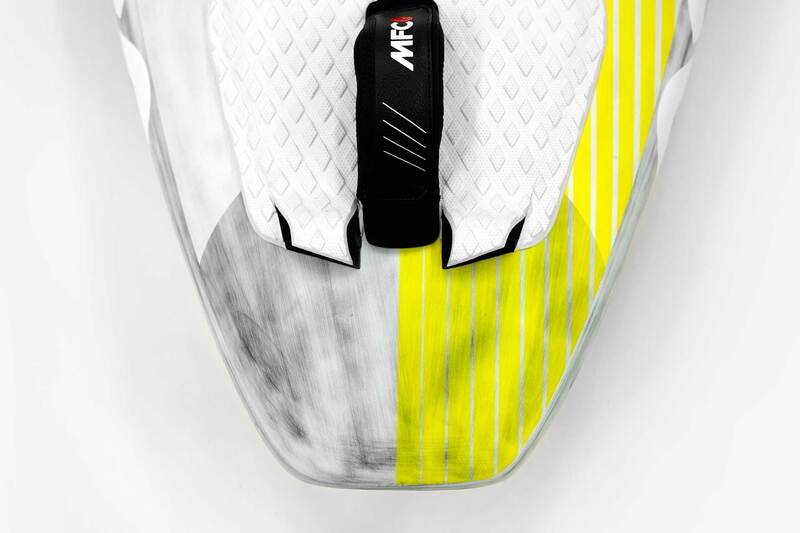 The Air Pro offers incredible acceleration, super fast reactive rotations and instant planing. The new, thick square tail design is a blessing, it gives you more grip and confidence to enter your moves faster, its release and pop send you flying higher, and it provides a wonderful forgiveness in sliding maneuvers. Available in 89, 99, 106 liters. Available in Pro Light Carbon & S-Glass construction. Available with a US finbox. Available in neon yellow on metallic copper. Biaxial Carbon & Unidirectional Carbon. 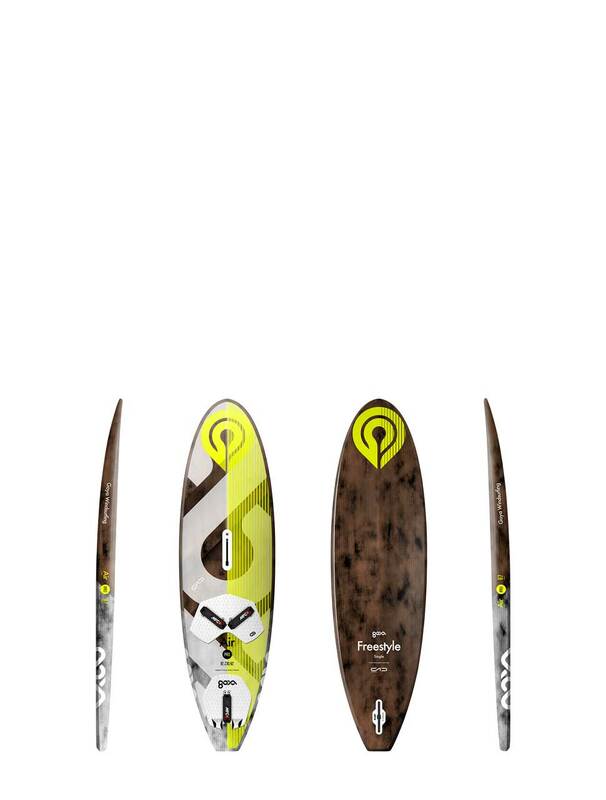 Extensive patches of biaxial carbon connect the peak loads of your feet to the rest of the deck, distributing the forces resulting from jumping and waveriding evenly. Additionally, a long and wide deck carbon patch acts as a superior backbone, making you board stiffer and eliminating distortions. Full S-Glass Hull. S-Glass covers the board 360°. S-Glass provides higher strength and elasticity compared to standard glass, while maintaining more flex than Carbon. Flex is a super important secret to an outstanding Wave board. 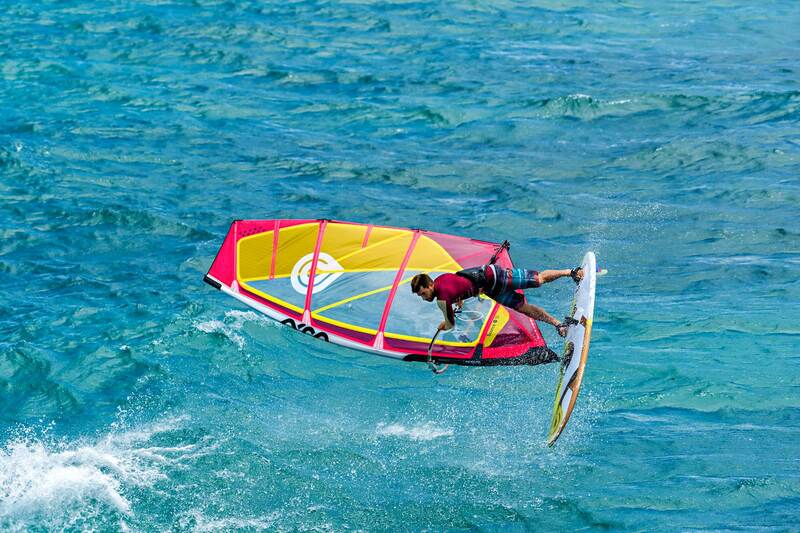 A full Carbon Wave board would be too stiff to deliver the agility required by radical modern wavesailing. 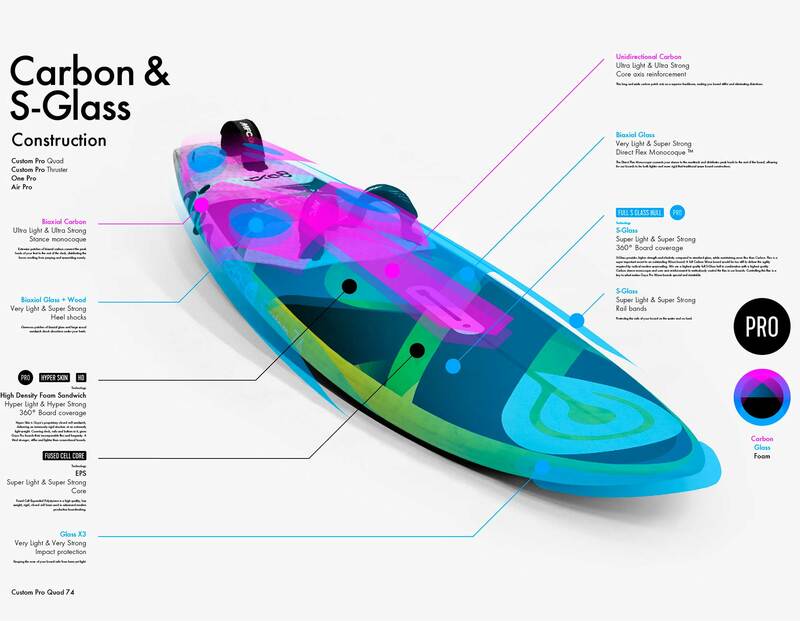 We use a highest quality full S-Glass hull in combination with a highest quality Carbon stance monocoque and core axis reinforcement to meticulously control the flex in our boards. Controlling this flex is a key to what makes Goya Pro Wave boards special and inimitable. The space below is yours to share your thoughts. Find existing reviews below. Asterisks denote required fields. I had a chance to try this board in Maui. It is unbelievably fast and light. It feels limitless. I used it with a 5.0 Eclipse. I have the 99 Air and spend a great deal of time on it. This is my go to board for all over the Northwest of the continent (Oregon to BC Canada). I put a wave fin on it for side-shore wave sailing on Vancouver island and the Oregon coast as well. I can't wait to get an 89 because this will be the ultimate highwind gorge and coast board for me. I will run a 5m to 3.7m on this board and it should be explosive. 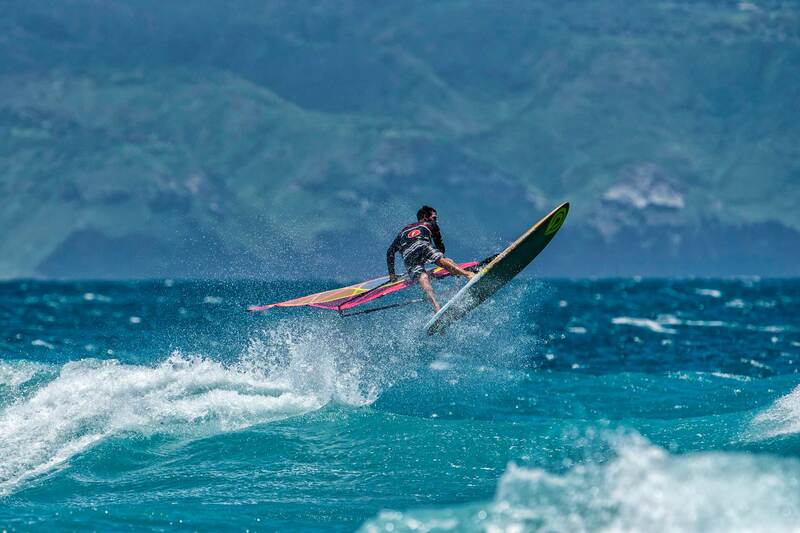 As much as I love carving up big waves on multi fin boards, I feel that having an Air model has the unlimited speed to do maneuvers and get big air. I weigh 205 lbs on a good week so having instant acceleration and limitless speed gets me where I want to go. 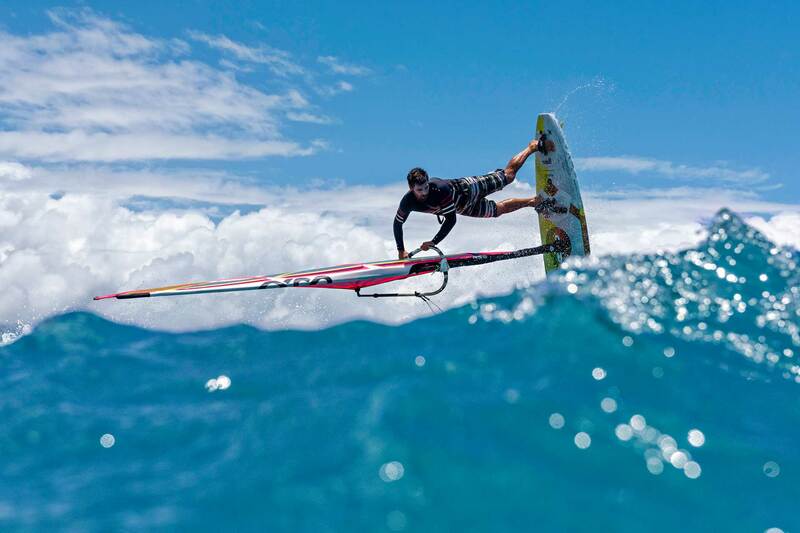 I like to sail very much on the edge of control so I don't mind how fiercely fast and alive this board is. I prefer speed over control in most of the sailing that I do. Because of its short length, it is very loose and turny. 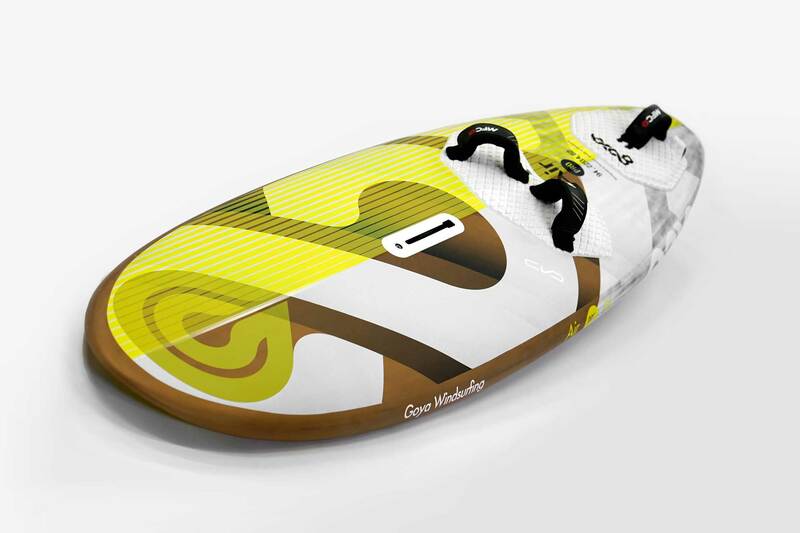 When we think of fast boards we automatically think of a race board that you would set a course on and let it fly but this little guy has a unique blend of allowing you to do that by locking in a speed stance and then once you back off on the power and stand back over it to turn - it will turn in an instant! Just wanted to give you some feed back on the 2016 Air 89L that i recently revived. On the water the first thing that that i noticed was how comfortable and smooth the board is, the chop is not an issue at all and no more getting sprayed in the face like other freestyle boards. With the board being much easier to manage at speed the top speed seams to never end. All of the moves can be entered with much more speed and the board stays solid the entire time no flutter, spin or tail walk. With so much more control and speed coming into the moves the pop is very direct and easy to send it for and air move or slide though for full planing exit. Leading into my favorite part of of the new Air, when transitioning from forward to backwards and backwards to forwards there is little to no hang time. There is no fighting the board to get out of a sideways stalled slide. Making it very easy be much faster though all of my tricks, and more consistent even in marginal conditions. So far i have used both 5.0 and 4.5 and love'd it every time. The new fin box makes for not only a lighter fin set up but the ability to tune the board and get it dialed in for different conditions, sails sizes and rider preference with ease. On top of everything the graphics are stunning, variable density pads provide great impact absorption while being firm enough to provide and direct and connect feel to the board. 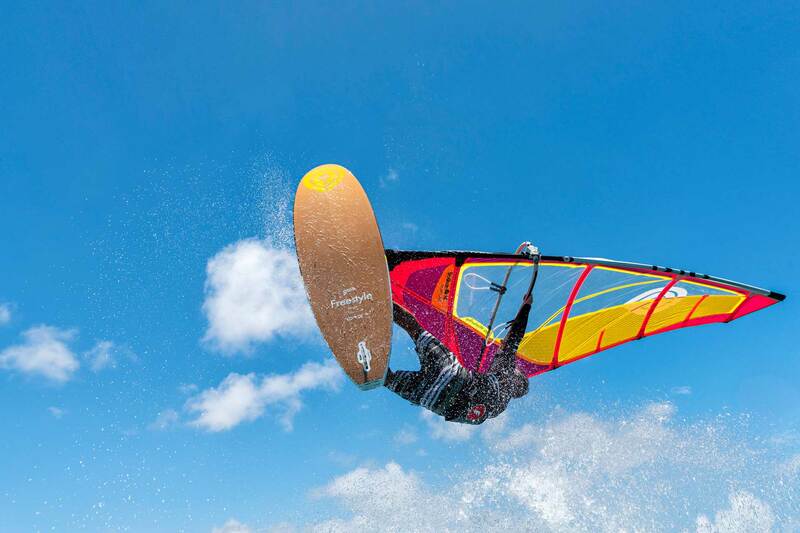 Over all this board is the next level for freestyle while providing an exhilarating ride. Very happy with the new board and cant wait to get more time on it. as wells as try the other new boards and sails in the line up. Rode the 89 litre Air in Maui this year and by the end of the day, just loved it. Go buy one guys,, you will not be disappointed. Copyright © Forward Maui Inc. All rights reserved.